Toilet paper tubes always seemed like a good recyclable material for arts and crafts... until I collected enough and realized I didn't really have a concrete idea of what to do with them yet. So I ended up throwing a couple of them in the trash before I came up with this haha! We had 3 pieces of toilet paper tubes to use for our lion, plus glue and colored construction paper. 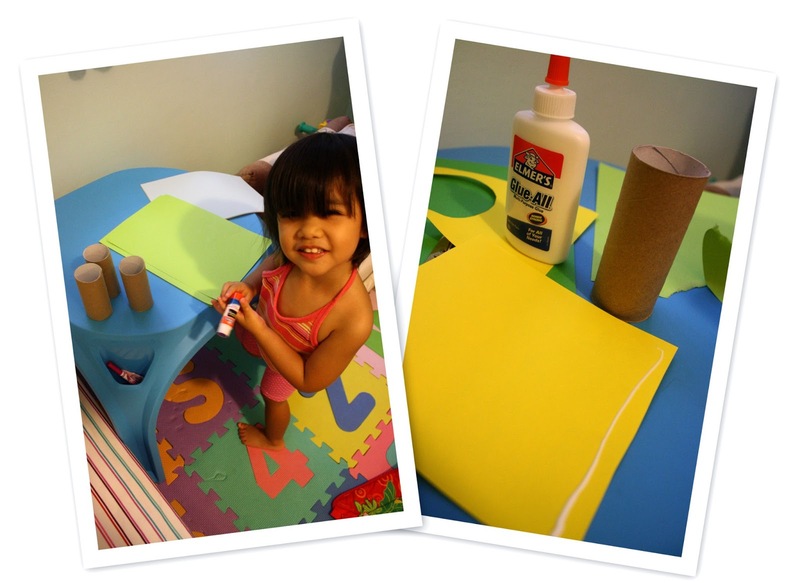 Don't forget to bring out your pencil, markers and scissors too! 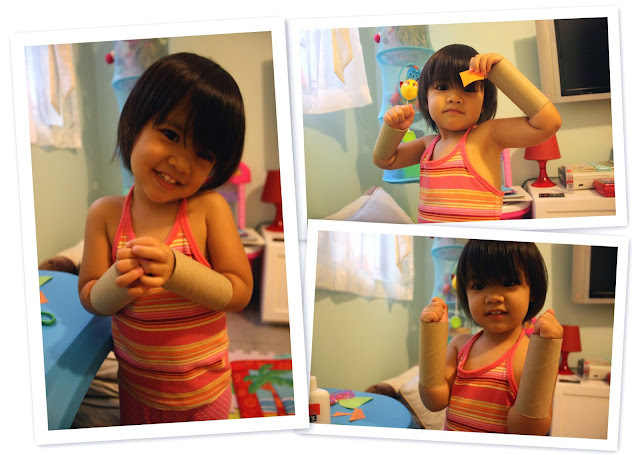 She wore them on her arms until it was time to wrap them up to use as the lion's body or stand. 1. 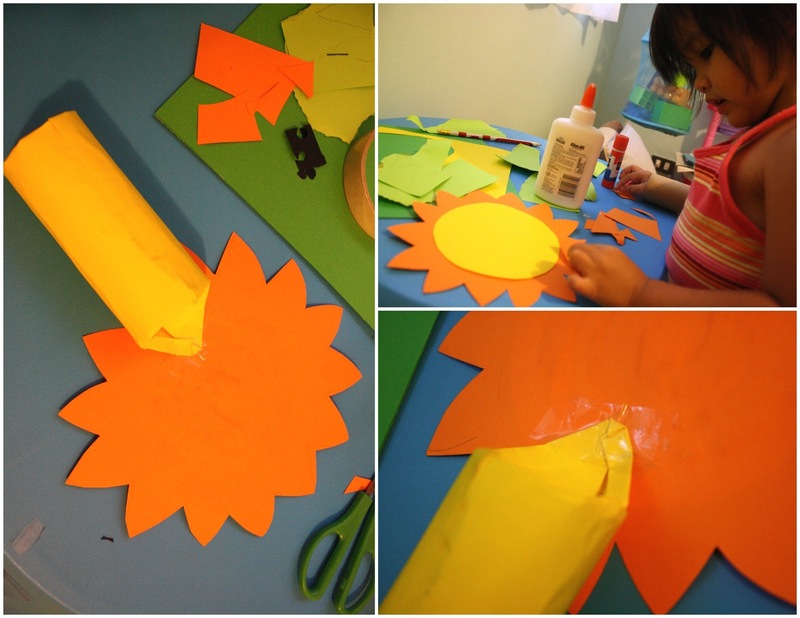 Apply glue on the yellow colored construction paper and wrap around the tube. 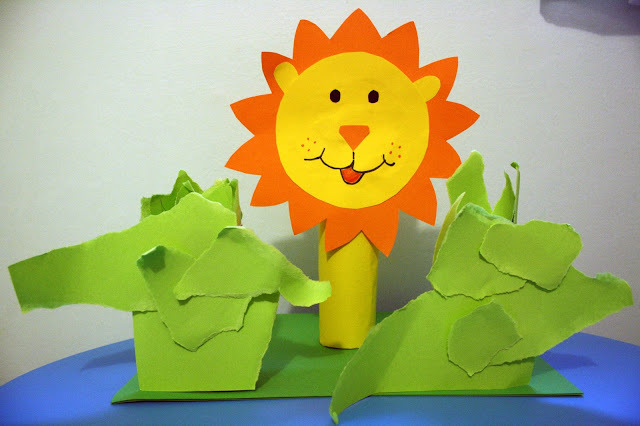 can stick the lion's head easily later on. 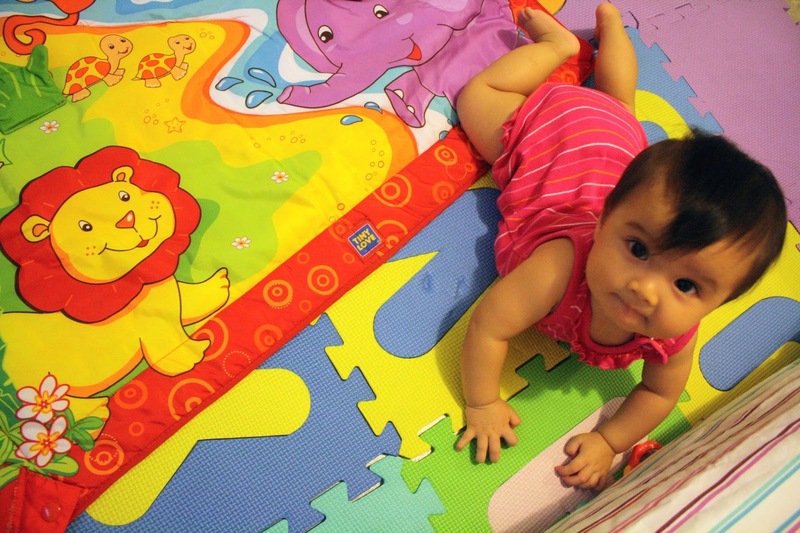 - just thought it looked cuter :P). *The torn apple green paper pieces are care of Audrey. They will be of good use later. 5. 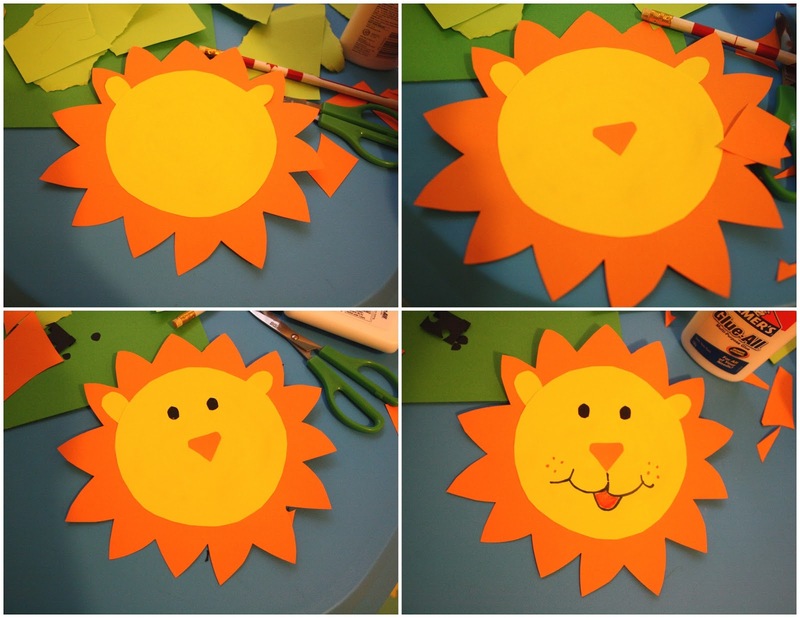 Draw the lion's ears and stick on the hair as well (try to put it behind the head). 6. Cut up a piece of orange paper for the nose. cut up black paper for this and glued it on. 8. 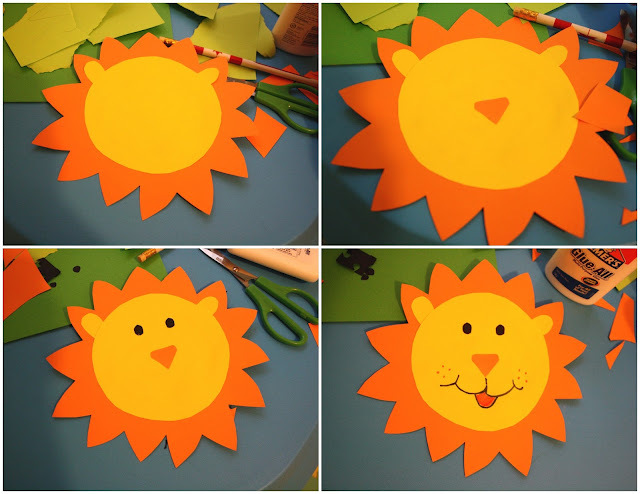 Get your black, red and orange markers and draw the lion's mouth and tongue. 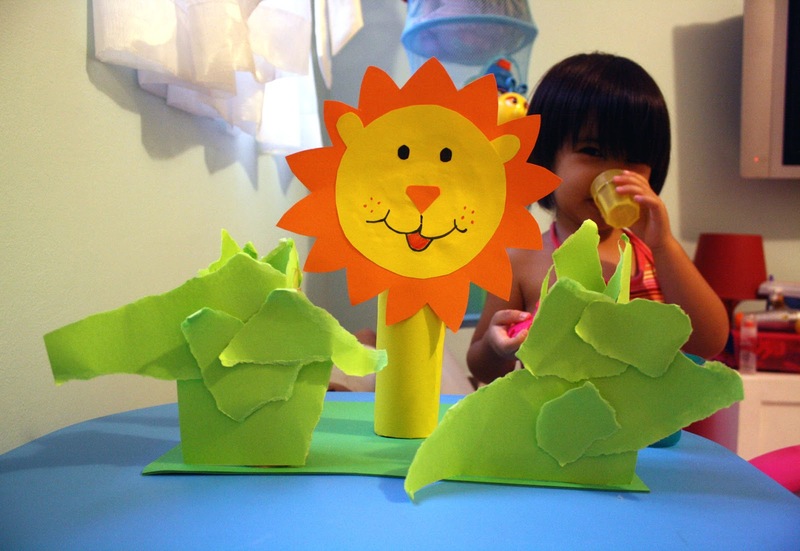 Now you can stick the tube behind the lion's hair with tape! 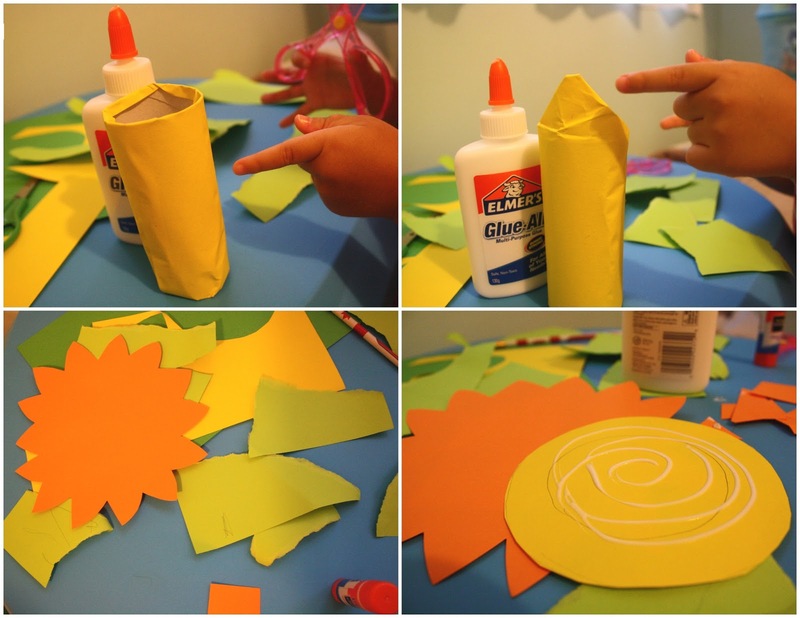 with torn paper bushes stuck to toilet paper tubes as well! 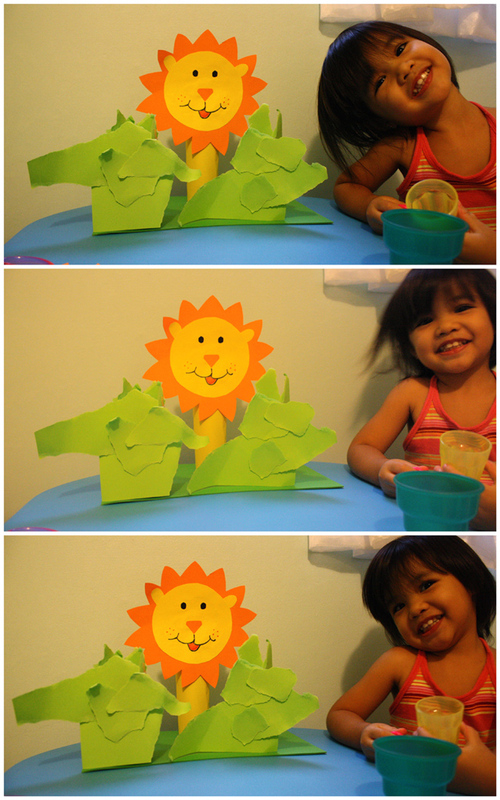 Audrey with her "pet" lion hehe!